World of Warships, the online warship game in the series of vehicular war games from Wargaming (World of Tanks and World of Warplanes), has had its share of excitement and play from its fans. During this year’s Gamescom, fans got something extra to get excited about. For the first time, a trailer for the console version of the title was shown off, now titled as World of Warships: Legends. The trailer does not show much, but we do get a quick glimpse at the gameplay. The real meat of this announcement was in the press release. The commanders that are on the PC version of the game, along with their unique play styles and perks, will be present in World of Warships: Legends. In addition, there will be gameplay changes overall, which will give console players a custom experience, and the game engine has been re-worked to utilize the current generation of console’s hardware. Legends has been built with console gamers in mind and to fit their needs. Much like we did with World of Tanks: Mercenaries, we’ve looked at how console and PC truly differ in play styles and preferences and tailored the experience with that in mind. Battles are more action-packed and take place between smaller teams, controls are reworked, and much more. This is far more than a port of the PC version, it’s a whole new game — right down to overhauling the graphics engine — which makes everything bigger and brighter on consoles. 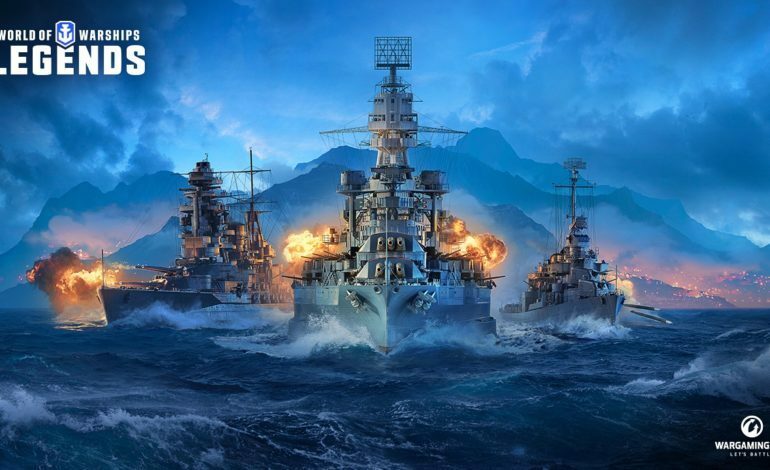 World of Warships: Legends currently has a tentative release of 2019, and the title will be dropping on the Xbox One and PlayStation 4, and it will also have enhancements for the Xbox One X and PlayStation 4 Pro.